The Hebron Open Space Land Acquisition Committee, formed by Town Ordinance on June 4, 1998, consists of seven members including one representative for each of the following Boards or Commissions: Board of Selectmen and Finance, and the Planning and Zoning, Parks and Recreation and Conservation Commissions. Two members from the public also serve on the Committee. The Committee is charged with the responsibility of evaluating and recommending open space land purchases to the Board of Selectmen. The Ordinance also created a Hebron Open Space Land Acquisition Fund, to be used for preservation and acquisition of open space. The Fund is financed primarily by an annual appropriation of up to ½ of a mil as approved in the town budget. Land Acquisition funds are also derived from fees received by the Town in lieu of open space dedications required with subdivision applications, from state grants and from voluntary contributions. Open Space land can be acquired or preserved through direct purchase by the Town, by the acquisition of conservation easements or by the purchase of development rights. How Does Open Space Benefit You? Click on the link below to learn more about how the Town of Hebron acquiring open space benefits the Town and its residents. Aside from open space acquisitions, another method of open space and land preservation is accomplished through Conservation Easements on lands to preserve some significant natural or cultural resource. Click on the link below to learn more about Conservation Easements. The Committee continued to work closely with other Town boards and land use commissions in open space planning and evaluating open space preservation possibilities, especially for those parcels that can be linked into a town-wide greenway system. 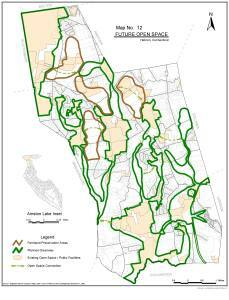 The Committee identified its four highest priority areas within the town for open space preservation: The Fawn Brook/West Branch Fawn Brook corridor, the Raymond Brook Marsh area and the Judd Brook area for passive recreational and natural resource protection and the Gilead Hill area for farmland preservation. Jeff LeMay Regular meetings are scheduled on a bi-monthly basis, beginning with the first Wednesday in January, at 7:00 p.m. in the Town Hall, unless otherwise posted. All residents and Hebron landowners interested in participating in development of the town’s open space vision are encouraged to contact the Committee. The Committee hopes to provide such landowners an opportunity to share in the future stewardship of open space land in Hebron.